When Robert Forster and Grant McLennan formed the Go-Betweens in Brisbane in 1977, they were determined to be different. They were angular, spare, and poetic when crashing directness was the prevailing style. Their heroes were Dylan, Creedence, and Television, when it was more fashionable to cite the Stooges and the New York Dolls. Their attitude was as punk as anyone’s, but their lyrical guitar pop stood in sharp contrast to the trends of the day. The Go-Betweens story is a fascinating one. 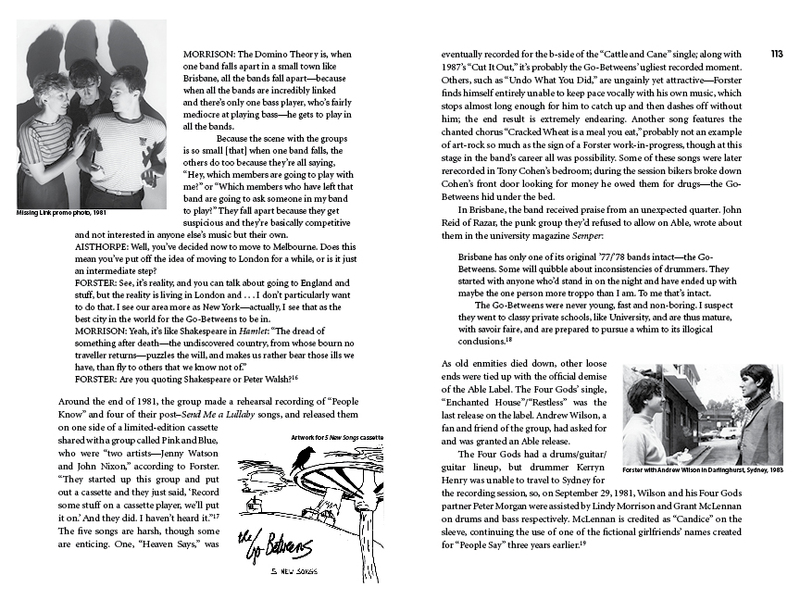 With cornerstone drummer Lindy Morrison – and, later, additional members Robert Vickers and Amanda Brown – the band recorded six albums in the 1980s that are among the finest work of the decade, and earned them a reputation as “the ultimate cult band.” And as one reviewer of the original 1997 edition of this book noted, “Unlike most rock groups, the Go-Betweens had personalities as well as talent” – which makes for a compelling read, even if you’re not yet a fan. 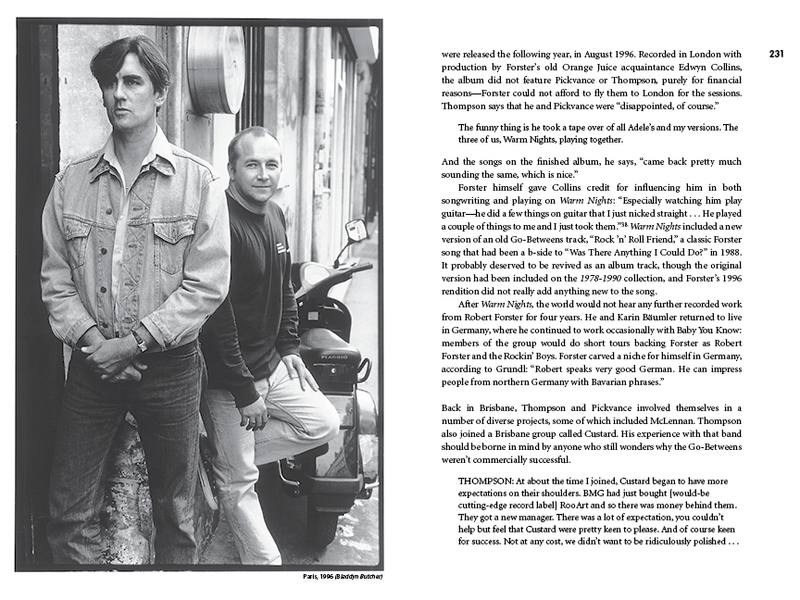 David Nichols relates the Go-Betweens story with wit and verve, and for this edition he completely revised the book, adding chapters on the members’ solo careers in the 1990s, the subsequent reuniting of Forster and McLennan under the Go-Betweens name, and the band’s flourishing second life in the new millennium, sadly cut short by the sudden death of Grant McLennan in 2005.